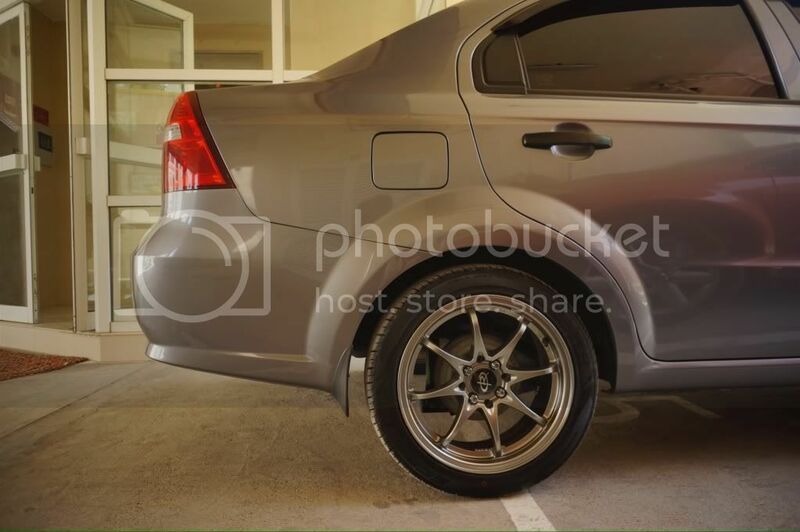 Can somebody suggest a reliable shop to buy rims and tyres in Sharjah? When I say reliable I mean they sell cheap but fair quality of rims and tyres but not the worst and fake ones. The only good quality wheels in sharjah can be found in a shop behind Sahara Center, it's called Ardh Al Emarat, they sell Lenso wheels. The tyres can be bought from the same shop or any other shop (plenty in that area). Mr.HacKeR wrote: The only good quality wheels in sharjah can be found in a shop behind Sahara Center, it's called Ardh Al Emarat, they sell Lenso wheels. The tyres can be bought from the same shop or any other shop (plenty in that area). Thanks! I will check it out. I have been hearing this Rota rim, which is manufatured in the philippines (correct me if I'm wrong). Do you have any idea on how much the price is ranging for Rota rim tires so I can calculate my budget? The site is cool bro! However, I can see only 19" and 20" rims for chevrolet. I need 16" rims only for my aveo. Do you think they have it in their showroom? Rota wheels will be a good choice for your Aveo. Wide range of designs available across many different sizes. 16" wheels would average for around AED 2,000 for a set. Talk to Mr. Jaics and give reference of the club. The prices of http://Www.wheelsrimsuae.com rims are really high compared to the ones you get in the shops. i got a quote from them for AED2700 for my Lenso 17" rims only whereas i bought the rims from Ardh Al emarat with 2012 brand New dunlop tyres for total AED3K. Suggest you visit the Shops there and have a look, yes they have 16" rims also with them (Ardh Al Emarat). I go with the Rota Wheels...I got mines from Performance Motorsports. Sam wrote: Rota wheels will be a good choice for your Aveo. Wide range of designs available across many different sizes. 16" wheels would average for around AED 2,000 for a set. Thanks for the info man! Not bad if keeping in mind the quality! hk20 wrote: The prices of http://Www.wheelsrimsuae.com rims are really high compared to the ones you get in the shops. How was the Lenso rims and tyres performing? Lenso Rims & Tyres are great! No vibrations or any issues, the tyres are good. Good grip, good handling. i got my 17" for 3K with tyres, for 16" with tyres you should get it much cheaper. Just want to thank you guys for all your help! BTW, which size did you get? 16s?